Mijares, 29, is a long-time major leaguer, having appeared in 324 games over the past six seasons with Minnesota, Kansas City, and San Francisco. 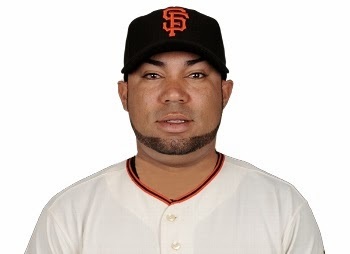 He has been used mostly as a left-handed specialist, as was the case in 2013 when he threw only 49 innings in 60 appearances with the Giants, compiling a 4.22 ERA and 54 strikeouts but a disappointing .321 opponents batting average. For his career, Mijares has limited opposing batters to a .258 clip, and left-handed hitters have managed only a .225/.288/.335 line. While the major league bullpen appears set, Mijares provides insurance in case fellow lefty Andrew Miller is not able to start the regular season following foot surgery, or another injury comes up in spring training.